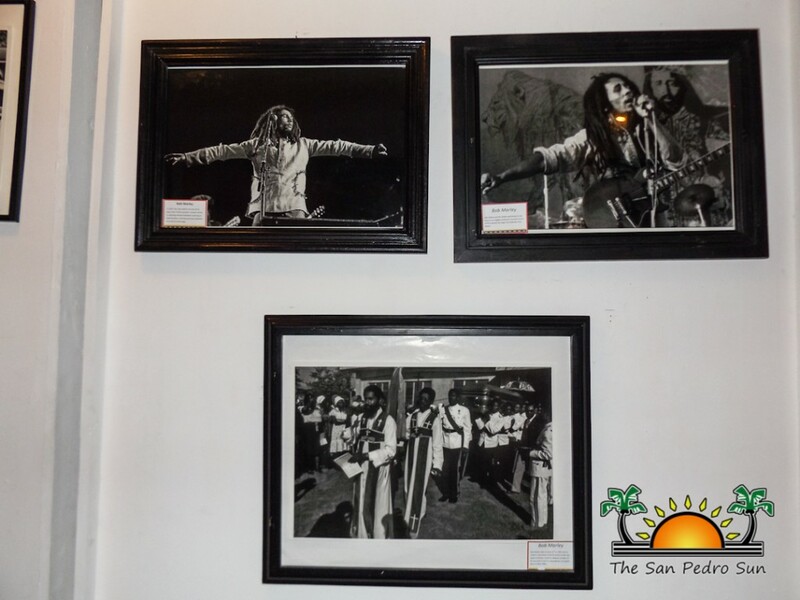 The San Pedro House of Culture (SPHC), along with IRIE Belize, are featuring an exhibition in honour of Jamaican Reggae Legend, Bob Marley. The exhibit was launched on Wednesday, January 25th prior to the Tribute to Bob Marley’s concert slated for February 4th from 11AM at the Central Park. 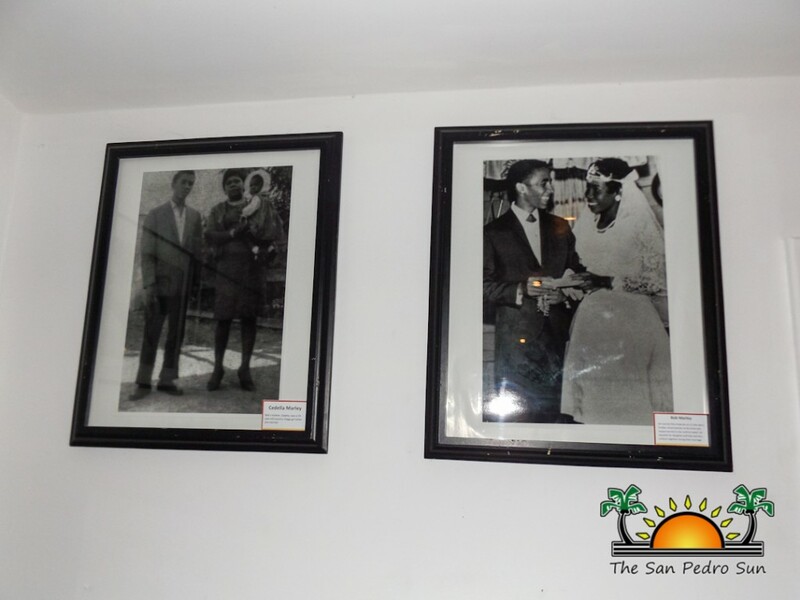 Residents and visitors gathered at the SPHC on Angel Coral Street at 7PM to check out the exhibit detailing the life of the reggae king. 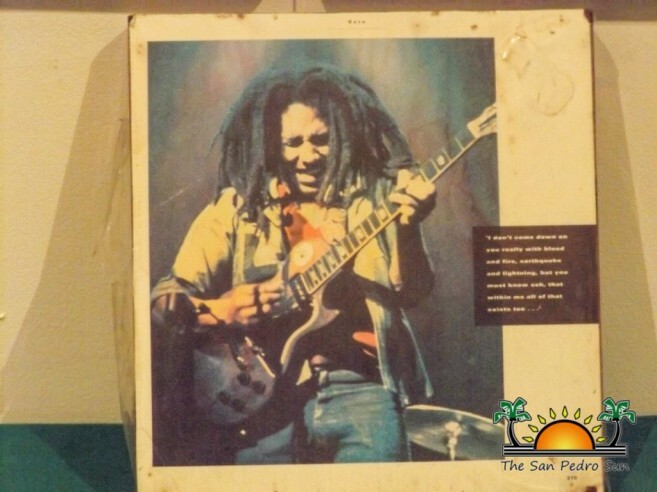 The exhibit features a detailed pictorial insight to Marley’s life, with images from his early years, to his marriage and successful singing career. The event also included live performances from reggae singers who interpreted songs by the Reggae Idol. 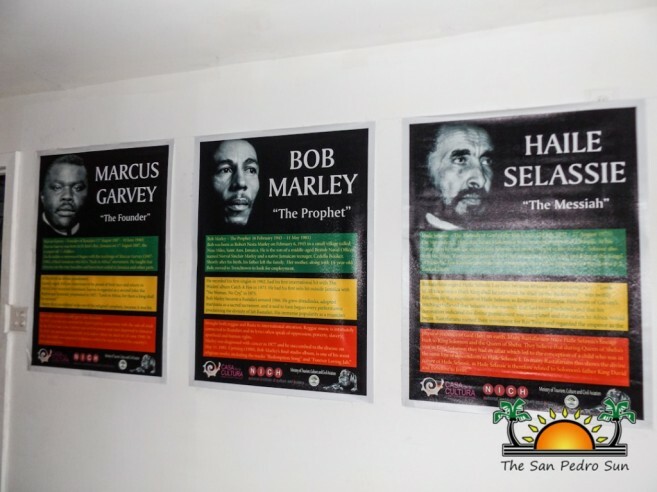 The many pictures of the exhibit also depict the themes of Marley’s songs, including oppression, slavery, poverty, and human rights. Everyone who came out to the event enjoyed a fun evening learning about the Rastafari religion to which Marley belonged. The Rastafari is an Africa-centred religion that was developed in Jamaica in the 1930’s. Followers of the Rastafari movement are known as Rastafarians, and Marley became one around 1966. He grew dreadlocks, adopted marijuana as a sacred sacrament and since then proclaimed the divinity of Jah Rastafari throughout all his performances. As a result, when he became a successful musician, the Reggae music and the Rastafari religion became internationally known. Marley was diagnosed with cancer in 1977 and succumbed to the disease in May of 1981. 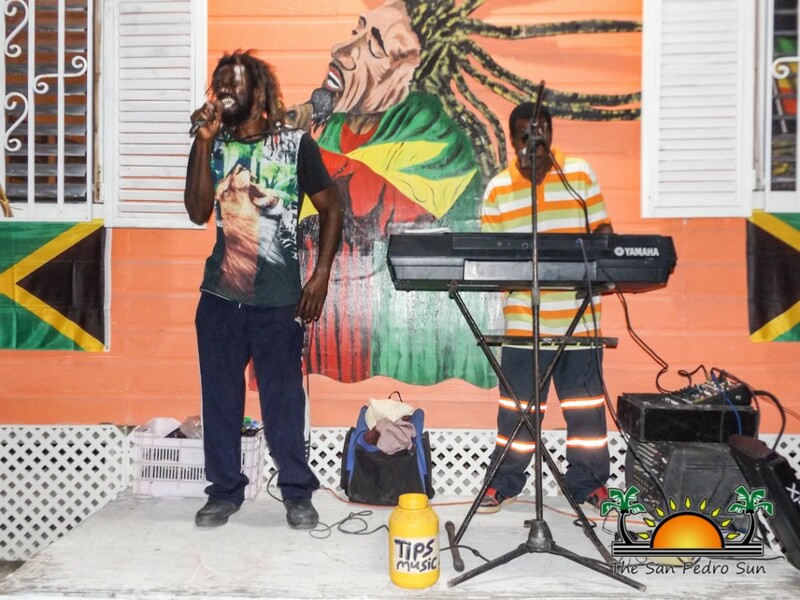 The SPHC and IRIE Belize would like to extend thanks to all those who made the event possible. The exhibit will be available for viewing until Friday, February 3rd. Everyone is invited to stop by during the normal opening hours of the SPHC, Monday to Friday from 8AM to 5PM.